Michelet Mongerard, 31 of Haiti, was found unconscious at the bottom of a pool during his 32nd birthday party at a home on Greenfield Road in Glenbrook on Sunday. Mongerard was pulled from the pool by his cousin just after 7pm, Sgt Paul Guzda told the Stamford Advocate. Mongerard’s cousin was able to resuscitate him by performing CPR then medics rushed him to the Stamford Hospital. Authorities said it appeared that Mongerard was on the road to recovery, but he died at the hospital a short time later. 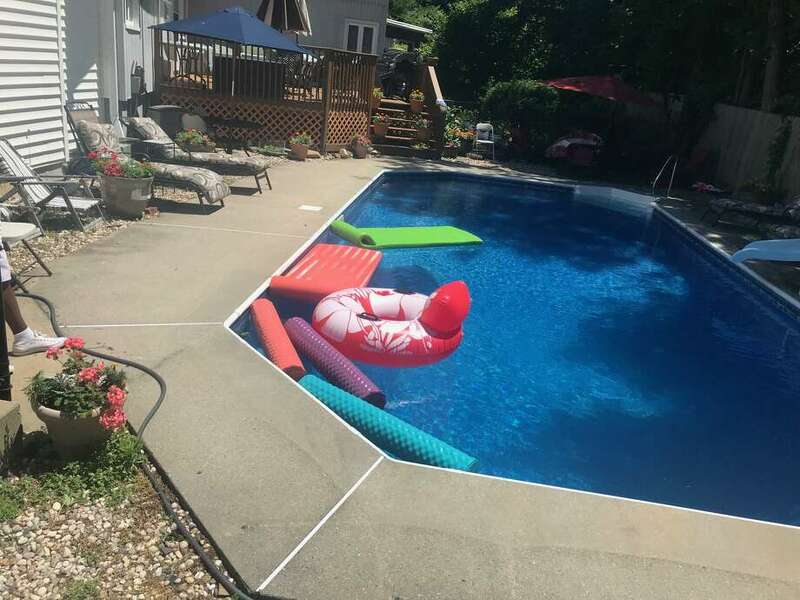 Right now, police believe the man’s death was accidental because the 20 to 30 family and friends at the party said he could swim and that he didn’t appear to be intoxicated. Police said that no one saw him go into the swimming pool. But authorities said they discovered a “minor” abrasion on his head. It’s unclear if Mongerard slipped and hit his head before falling into the pool, and authorities are still investigating. For now, officials said the cause of death will likely be ruled as an accidental drowning.